Our school system is governed by a nine-member board of education whose members are elected from separate districts in the county and serve staggered four-year terms. The board sets policy, and the superintendent and administrative staff manage the system's day-to-day operation. 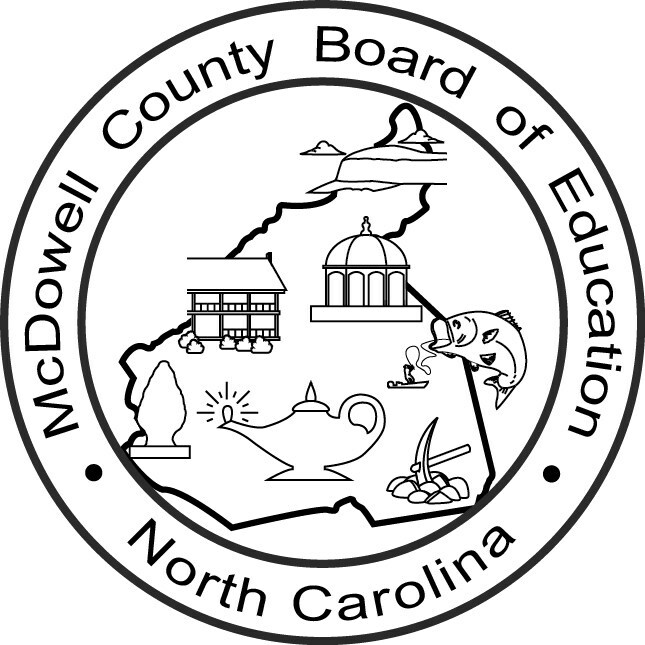 The board has budget review authority, but it is not a taxing body and must submit its annual budget requests to the McDowell County Board of Commissioners which controls allocation of funds to the schools. In North Carolina the basic public education program is funded by the state and is augmented with local funds. The schedule for regular board meetings will be established annually by the board. Meetings are held in the boardroom at the system's Administration Building, 334 South Main Street, Marion. Regular meetings, can and usually do, include a consent agenda as well as action, information items, and an opportunity for public comments. Each Board of Education Member is committed to working toward setting and achieving goals that will improve and strengthen our instructional program. Citizens desiring an item to be placed on the agenda for a specific board meeting should direct written requests (in accordance with Policy 2310, Public Participation at Board Meetings) to the superintendent at least two working days prior to the meeting. Opportunities for public comment are provided at the beginning of each regular board meeting. A "Public Request to Address the Board" form may be submitted in advance to Mrs. Charlie Mae Mace (Central Office, 334 South Main Street, Marion) or a sign-up sheet will be available for any individual or group to indicate their desire to address the board prior to the start of the board meeting. Board policy 2310, Public Participation at Board Meetings, states that board members will not respond to individuals who address the board except to request clarification of points made by the presenter and that the board attorney will keep comments to a three-minute time limit. Recorded audio from the meetings is found under Videos. We are unable to change the name due to a limitation by our content management system.